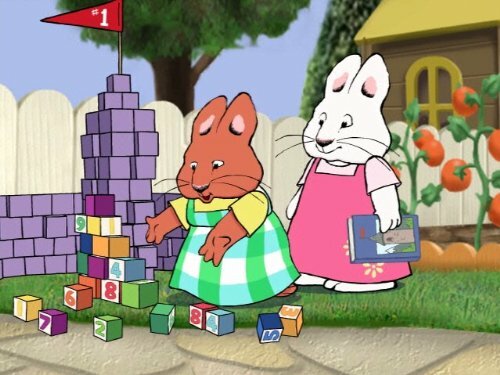 The Max and Ruby TV Show has crept into the households of a lot of preschoolers. It is wholesome and altogether fun. With Easter coming up, Easter bunnies are popping up all over the place. 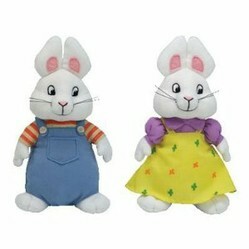 What better gift to present to any little family members you might have than the Max and Ruby beanie babies? 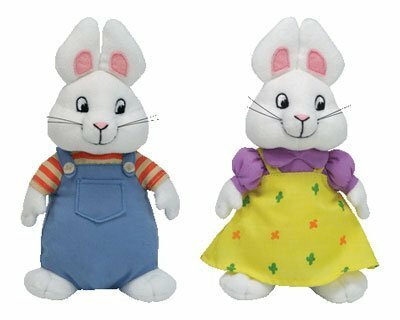 Even without the impending arrival of Easter, Max and Ruby are adorable bunnies for any little fans of the television show or the books by Rosemary Wells. 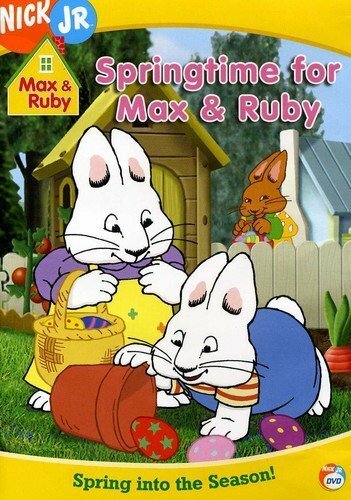 I have two Max and Ruby fans in my house and as a result, we all love the cartoons. 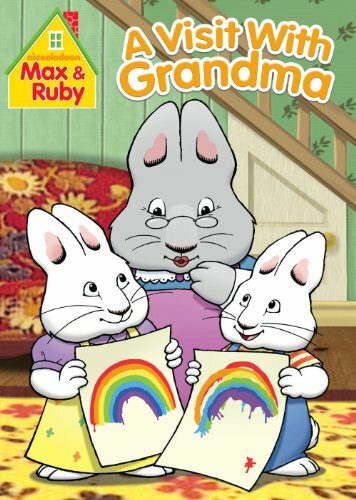 They are a fairly new addition to our favorite programs and books; All a result of the Max and Ruby TV show availability on Netflix which we just switched over to. 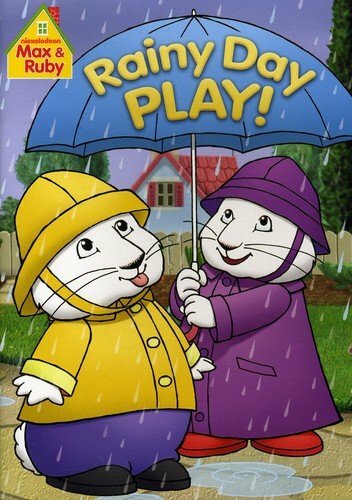 Max and Ruby are brother and sister. 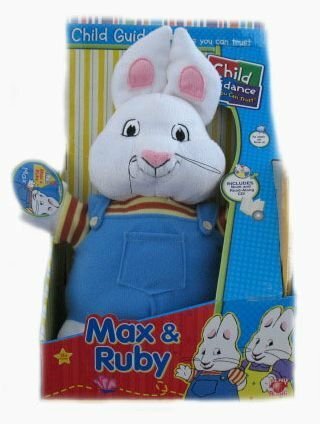 Ruby is the maternal big sister and Max is the mischievous little brother with very little to say but a very persuasive character that sees him getting his way most of the time. Their adventures are usually enhanced by the presence of a doting grandma bunny. She gets up to all kinds of things with the little bunnies. Apart from a picture on the wall in their home, their parents seem to be missing. If you are a follower of Charlie and Lola then this is a similar thing except Charlie is the older brother and Lola, the younger sister. They do not seem to have visible parents either. 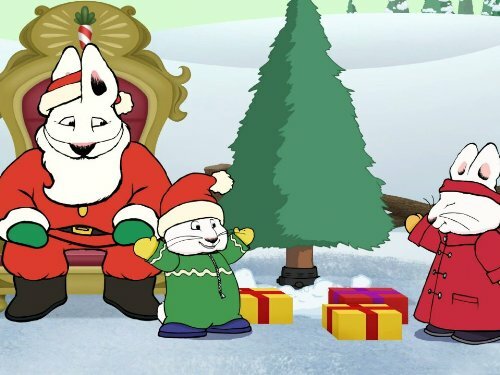 The TV show of Max and Ruby however is styled in an older fashion than Charlie and Lola; this gives the show a certain charm that makes it adorable for younger viewers. It is slow, reassuring and there is absolutely nothing in the programs that would scare a sensitive child. The first season aired in 2002 followed by further successful seasons up until the most recent fifth season in December 2011. Needless to say, Max (3) and Ruby(7) are in the show. Morris who is the best friend of Max. Valerie – Another one of Ruby’s friends. She does ballet with Ruby. 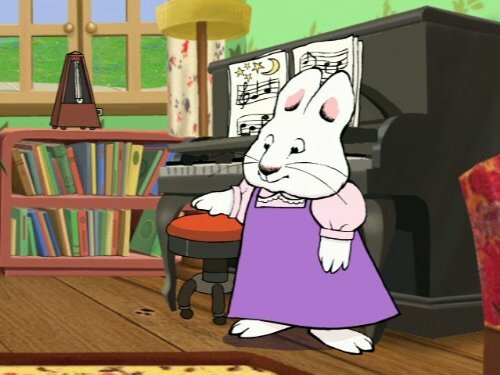 Martha – She is a regular attender at Bunny Scouts and is a friend of Ruby’s though not seen as frequently as the rest. The Huffingtons – This is a family consisting of Mr and Mrs Huffington and Baby Huffington. The Piazzas – Roger and Mr Piazza are part of a family that work in the market. Roger is a seven and a half and a pretty active boy. 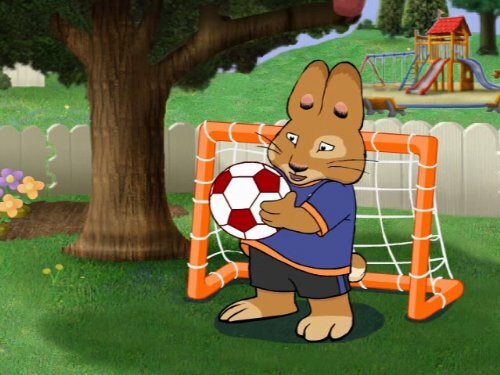 Bunny Scout Leader – Her name is unknown and she too is an infrequent visitor to the show. There are also DVDs featuring the same characters from the Instant Video Seasons.